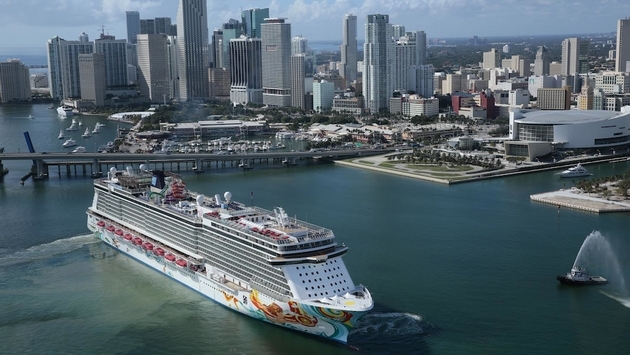 Guests setting sail with Norwegian Cruise Line this summer and beyond will have more choices and flexibility in the line’s complimentary dining venues. 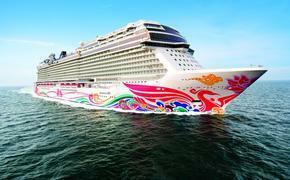 These new offerings are a further development of the Norwegian NEXT program, focused on bringing “new enhancements, experiences and transformations” across the fleet, with the goal of elevating the guest experience and building on the success of the line’s two newest ships: Norwegian Breakaway and Norwegian Getaway. The culinary enhancements include: the debut of multiple new menus in the ships’ main dining rooms that offer an increased variety of selections and contemporary dishes; a dedicated “Chocoholic Night” one evening per cruise, featuring specialty chocolate-based desserts in each restaurant; and the ability for guests to make main dining reservations up to 90 days in advance. The new regionally-focused complimentary dining room dinner menus vary by ship itinerary and change each evening of the sailing, ensuring that guests have a wider selection of dishes to choose from during their cruise. Featuring a sleeker design along with wine pairing recommendations and anecdotal culinary history, the new menus display several sections – starters, classic dishes, main courses, chef’s signature dish and dessert – and offer an increased variety, with up to 12 starters and up to 15 entrees per evening. The menus have been carefully developed by Norwegian’s culinary team with a focus on balancing popular traditional dishes like prime rib, chateaubriand, rack of lamb and escargot with current dining trends and heightened guest expectations. The new offerings include increased seafood options such as grouper, barramundi, sushi and crab dishes. Contemporary dishes include mojito shrimp ceviche, seared Atlantic scallops with fennel puree, and braised beef short ribs with Cajun shrimp. Additionally, guests can enjoy new lunch menus in the main dining room. In the popular complimentary dining venue, O’Sheehan’s Neighborhood Bar & Grill on board Norwegian Getaway, Norwegian Breakaway, Norwegian Epic and Norwegian Jewel, the company is introducing exclusive specialty dish nights, such as prime rib, all-you-can-eat baby back ribs, and chicken and waffles. These specialty dish nights give guests an alternative dinner venue in a casual, relaxed atmosphere. One of the most popular additions to the new dining program is sure to be Norwegian’s “Chocoholic Night,” which offers a choice of up to seven signature chocolate desserts in every restaurant one evening each cruise. Ranging from the delectable warm chocolate volcano to the decadent chocolate Nutella pot de crème and the white chocolate strawberry mousse, the desserts are sure to satisfy any cruiser’s sweet-tooth. In keeping with the line’s Freestyle Cruising, Norwegian is also making it easier than ever for guests to further customize their vacation experience by offering the ability to make reservations for complimentary dining rooms up to 90 days prior to the cruise date. With reservation times at 5:30 p.m., 6:30 p.m., 7:30 p.m., and 8:30 p.m., the new system provides guests the option of selecting a dining time during any evening of their cruise, for a party size of up to 12 guests.